Restaurant Review: Del Pueblo y Para el Pueblo | ¡VidaMaz! The Estero del Camarón, the estuary along Avenida Insurgentes, just east of the malecón, has long been a muse for me, a natural reprieve amidst the urban activity. Back when I drove Danny to school I passed by it daily, and, living so close by, we still pass by it almost every day in the course of our activities. The reflections of the sky in the lagoon, and the sight of the birds sunning themselves, make for an oasis in the middle of the city. A few of years ago a restaurant went in on the north side of the road. Gradually, Del Pueblo y Para el Pueblo has encroached on the estero, much to my dismay. Such seems to be the way of things here. We ate at this small restaurant a few times after they first opened. We loved the location, the nature surrounding us as we ate, the sound of the birds in the trees and the water. The food, however, was nothing to rave about. I took photos, but never blogged about it; it just was not good enough. The last couple of times we’ve eaten here, however, it’s been for breakfast. And their breakfast rocks! Maybe their food overall has improved. Lord knows they have developed the space very well. At first it was just the small building with a couple of outdoor tables. Then they put up tarps to separate the space from the street and give diners some privacy. Then they put up a tarp roof, followed by pavers for the patio, and, finally, a more permanent (tarp fastened to beams) roof. Next came a sound system, and now they have two full hot tables for breakfast buffet on Saturday and Sunday (8 am till noon), plus a rolling grill on which to cook eggs to order. The chilaquiles de camarón/shrimp chilaquiles are to die for! And they have a healthy plate as well (egg white omelet with nopales/prickly pear cactus, salsa and a bit of queso fresco)! Breakfast is served from the buffet (95 pesos) or off the menu (average price 75-80 pesos, including juice or coffee and fresh fruit). The lunch menu includes the standard items you’d expect in a small roadside place. The bathroom is indoors, and has a functioning sink, soap and towels. One of the waiters speaks English well, and the owner does a bit. The views are really pleasant. 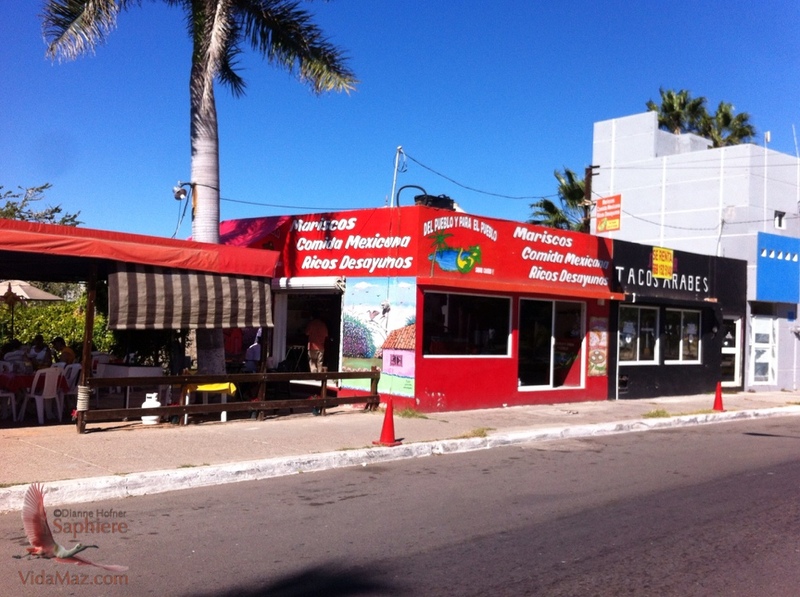 We definitely enjoy having breakfast at Del Pueblo al Pueblo. If you’re looking for a simple place, with a gorgeous view, something a bit different than our killer ocean views, Del Pueblo al Pueblo may just fit the bill. Check it out and please, let me know what you think. 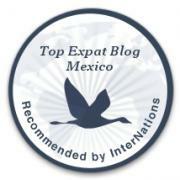 Pingback: Amazing Bird Watching in the Heart of Mazatlán | ¡VidaMaz!